MOSCOW (Sputnik) – Russian space agency Roscosmos is currently working on a new carrier rocket C, which will become a part of the Yenisei superheavy launch vehicle that, in turn, is expected to be used for future lunar missions, a source in the aerospace industry told Sputnik. MOSCOW (Sputnik) – The United States is working hard to halt its dependence on Russia’s RD-180 rocket engines, Jim Bridenstine, the administrator of the US National Aeronautics and Space Administration, said. 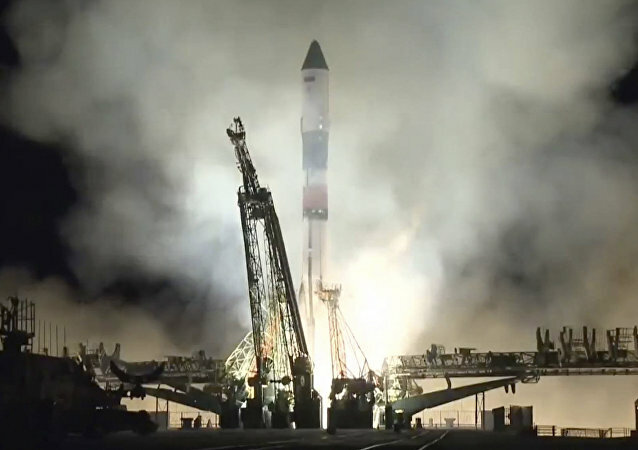 COLORADO SPRINGS (Sputnik) - Cooperation between Russia and the United States on rocket engines demonstrates a "shining example" of how the two states can successfully accomplish joint tasks, RD Amross CEO Michael Baker told Sputnik. MOSCOW (Sputnik) - If a bill on the response to the US sanctions is adopted, Russia will stop the supply of titanium, which is necessary for the production of Boeing aircraft, to the United States, Sergey Ryabuhin, the chairman of Federation Council's committee on budget, told Sputnik on Friday. 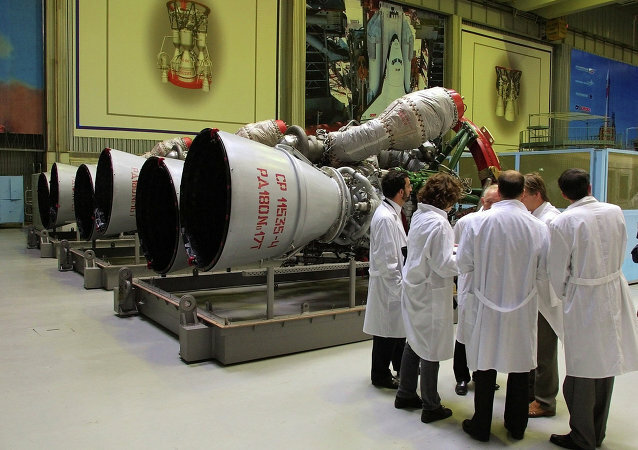 MOSCOW (Sputnik) - Tests of a Russian RD-180 liquid-fuel rocket engine have been carried out in the Science and Test Complex of Russia’s NPO Energomash, the company said Wednesday in a statement. The US has allegedly passed a key milestone in efforts to develop a rocket engine to compete with Russian-made RD-180. Russia is continuing to supply disputed rocket engines to the US under an existing contract, despite all Washington's efforts to replace them. Russia will supply the largest ever number of space rocket engines to the United States in 2017 within the framework of the previous agreements, head of the Russia’s NPO Energomash corporation Igor Arbuzov said on Wednesday. US Air Force Space Command head said that a testing mishap of Blue Origin’s BE-4 engine that is expected to replace the Russian-made RD-180 rocket engine is unfortunate but not unusual during a development process. US aerospace company Blue Origin suffered a setback while testing its Blue Engine 4 (BE-4), a staged-combustion rocket engine designed to replace Russian-made RD-180s, meaning that Washington still does not have an indigenously built version of a key piece of equipment needed to propel its Atlas V launch vehicles or its analogues into space. After SpaceX made history when it reused a Falcon 9 rocket to orbit a telecommunications satellite from Cape Canaveral, Florida, on March 30, 2017, Sputnik asked Boris Katorgin, the designer of Russia’s famous RD-180 rocket engine, about the RD’s future use and the development of super-heavy rocket boosters. Russian RD-180 engines can be installed on new domestic carrier rockets after the United States stops procuring these engines for its Atlas space launch vehicles, Boris Katorgin, a former general director and general designer of NPO Energomash corporation in 1991-2005, told Sputnik. The United Launch Alliance (ULA) will receive 11 RD-180 rocket engines in 2017 through US-Russian venture RD Amross, with the latter hoping to sell more in the future, RD Amross CEO Michael Baker told Sputnik on the sidelines of the Space Symposium in Colorado. Ukraine and the United States are planning to launch a jointly-developed rocket in the coming months, as part of the two countries' space cooperation, Ambassador of Ukraine to the United States Valeriy Chaly said Monday. Russia will continue to supply the United States with RD-180 rocket engines under existing contracts despite calls from Washington for greater reliance on domestic procurement, Russian Ambassador to the United States Sergey Kislyak said in an interview with Sputnik. 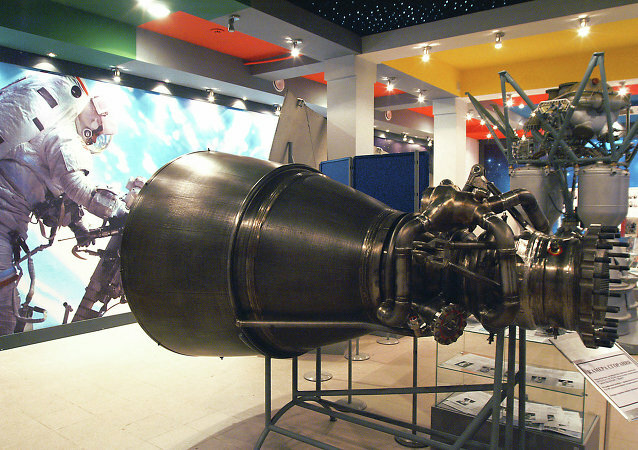 Russia may start RD-180 rocket engines deliveries to China.